Xiaomi Mi 6 comes with a four side 3D Curved design with Metal on the side, On the Back, there is Dual Rear Camera Setup LED Flash and Mi Logo. Back looks similar to Honor 8. Mi 6 looks better than last year Mi 5. Xiaomi could have reduced Bezel with Mi 6. The sides of the phone are made from stainless steel for a high-gloss outline. It comes in Blue, Black, and White options.There is also a Ceramic variant. 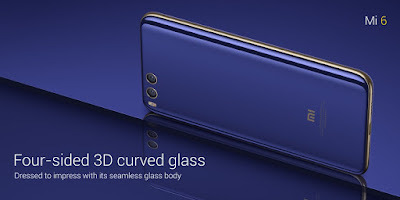 Xiaomi Mi 6 comes with a 5.15-inch Full HD Display which is similar to last year Mi 5. it is compact device can be used in single now more smartphones comes with a Display size of above 5.5-inch, The display on Mi 6 also incorporates technologies that allow the brightness level to start at a much lower level. This is because the display has 4096 levels of brightness that can be tweaked at 0.15nit a level, compared to devices with 256 levels of brightness that only changes 2.3nit at each level. 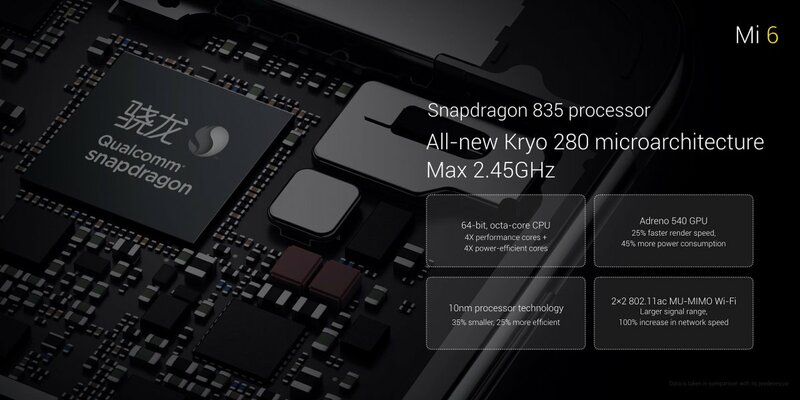 Xiaomi Mi 6 is powered by Qualcomm Snapdragon 835 SoC based on the 10nm manufacturing process. 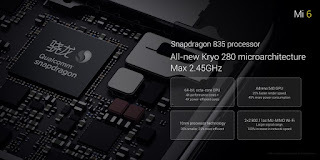 Compared with the last-generation Snapdragon 820, Snapdragon 835 is 35 percent smaller in package size and consumes 25 percent less power, which contributes to a longer battery life on Mi 6. To achieve the perfect balance between power consumption and performance, Mi 6 is equipped with an octa-core processor with four performance cores running at up to 2.45 GHz. The Adreno 540 GPU contributes to a 25 percent performance improvement and supports the latest Vulkan graphics API. 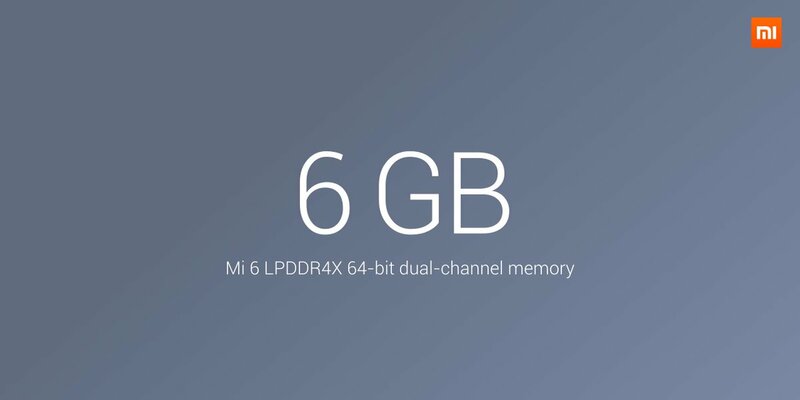 Xiaomi Mi 6 comes with a 6GB of LPDDR4x RAM with 64/128GB of internal storage. Xiaomi has not launched 4GB RAM or 32GB Storage model this year. The Mi 6 has a Dual 12-megapixel lens, one wide angle and one telephoto that allows you to have 2x optical lossless zoom. 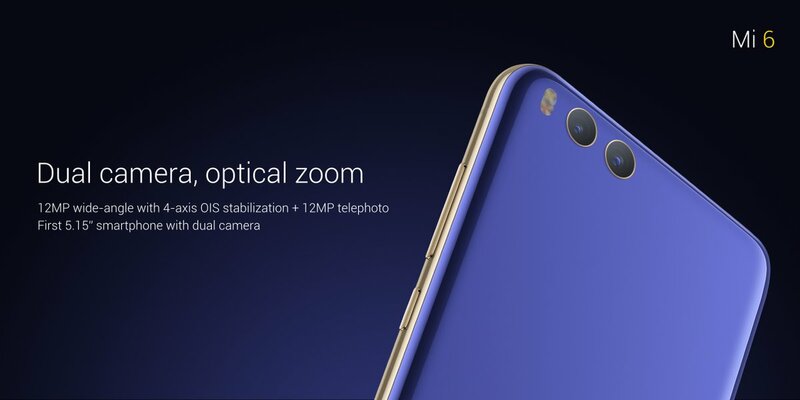 This essentially means that you will be able to capture clear, detailed images even with 10x digital zoom. The rear also features a 4-axis OIS stabilization system so you won't have to worry about shaky hands getting in the way of that perfect capture. 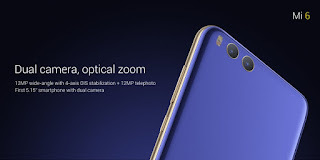 Notably, the dual camera also promises to deliver great depth-of-field captures and uses binocular imaging system and deep learning algorithm to clearly define what needs to be focused and what should be blurred out. Xiaomi Mi 6 has a Fingerprint Scanner under the glass of the fingerprint sensor front, this implementation will help ensure the fingerprint scanner will not get damaged with use and wear and tear. Bluetooth 5.0 is the next generation in Bluetooth technology. technology is pretty impressive when compared to the fourth generation Bluetooth technology. Bluetooth 5.0 gives 4x the range, 2x the speed and 8x broadcasting capacity compared to the previous generation. Notably, the new technology is also strong enough to connect the phone to two speakers simultaneously. 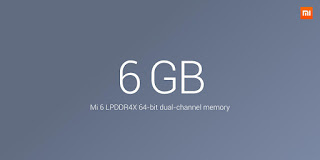 Xiaomi Mi 5 output was not that good to overcome that Xiaomi Mi 6 has dual speakers on the top and bottom that the company promises will help deliver immersive stereo effect. The dual speakers aim to deliver a surround sound experience while playing music, video or games. Xiaomi Mi 6 comes in White, Black, Ceramic black and Blue color. Priced at 2499 yuan for (6 + 64) and 2899 yuan for 6GB RAM and 128GB ROM model and 2999 Yuan for a ceramic model which is half of Galaxy S8 and Galaxy S8 Plus.Xiaomi Phones are not yet available everywhere outside china.